You want to see a transformation? Then you must prioritize going to see the Metropolitan once it is open. This is the building that is located on 17th & Carey. Many remember the building as the old Walgreens and at a more recent time it was a printing company. Way back when even, the building was the Arp & Hammond Hardware Store. 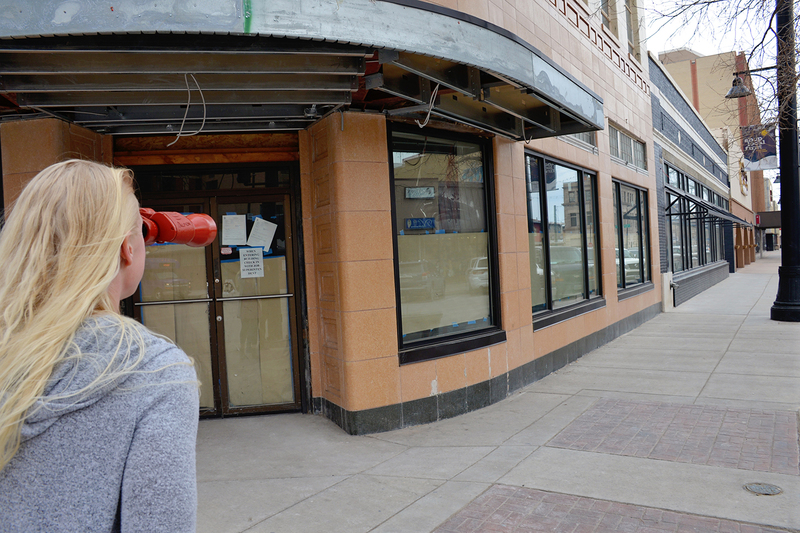 Now it is being transformed into a restaurant and banquet space called the Metropolitan. The adjacent building was incorporated into the full plans of the renovation and serves as additional space for its kitchen along with smaller meeting rooms and then a large banquet hall that can be sized down for various parties. Because it is a historic building, its renovation has taken much detail to get it up to code but also be the facility for the value it hopes to provide to the community. Hover over stairs! From the bar a glass floor to be able to look at the historic stairway. That will be super cool to see in our community! Banquet space featuring original ceiling tiles that provide the texture and depth for the kind of character Cheyenne has been craving. Exposed kitchen is an incredible feature of the restaurant space and will allow for a “dinner & a show” opportunity, we cannot wait to see it! This is going to be a beloved local community favorite before you know it. We are so excited for them but most importantly, we want to applaud them for their investment in making Cheyenne a better place!